The 2nd International Meeting on Retouching of Cultural Heritage took place on October 24th and 25th, 2014. It was hosted by Escola Artística e Profissional Árvore at Casa das Artes and Casa Allen in Oporto (Portugal), and coordinated by two of its teachers, conservator-restorers Ana Bailão and Frederico Henriques, and by private conservator-restorer Ana Bidarra, from Cinábrio. The conference joined researchers in conservation and conservator-restorers from Portugal, Spain, the Netherlands, Croatia, Italy, United Kingdom and France. Around 130 people attended the event, mostly professionals and conservation-restoration students. The two-day conference, composed of 16 lectures and 11 posters, was devoted to broad views of research problems and specific questions regarding the retouching practice. 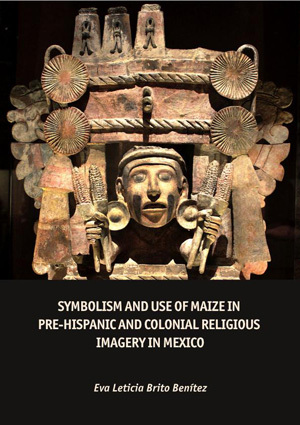 The main purpose was to promote the exchange of ideas about concepts, terminology, methods, techniques and materials from the different areas of expertise such as mural paintings, easel paintings, sculpture, graphic documentation and contemporary art. The communications were organized into three sessions, each one with a moderator: Leonor Loureiro from the Polytechnic Institute of Tomar (IPT), Rui Bordalo from HERCULES Lab (University of Évora), and Ana Bidarra from Cinábrio and the University of Aveiro. After the usual registration, the opening speech started with the welcome to participants by Ana Bailão, on behalf of the Organizing Committee of RECH2. The next speech was handover to Miguel Rodrigues from Direção Regional de Cultura do Norte, followed by Francisco Silva, head of the Escola Artística e Profissional Árvore. The opening was finished with a talk by Leonor Loureiro, from IPT. Ana Teresa Teves Reis, from Escola das Artes at Catholic University of Portugal (UCP), delivered the first lecture entitled “Overpaints with cultural significance. How to define authenticity? The case of Afonso de Albuquerque’s portrait”. Based on the case-study of a panel portrait of Afonso de Albuquerque (16th century), currently exhibited at the National Museum of Ancient Art (Lisbon) and widely reproduced in history books, which current research has proven to be the portrait of another governor but repainted to resemble the viceroy of Portuguese India during a restoration process in the 1960’s. The second lecture was given by Camila Mortari, from Center of Atomic Physics and the Faculty of Fine Arts from the University of Lisbon, who presented a communication entitled “The influences of Viollet-Le-Duc, Aloïs Riegl e Cesare Brandi in the field of Restoration Theory in Contemporary Art”. Through a quick tour, they analysed the theoretical principles that nowadays guide restoration interventions, especially the criteria for retouching and chromatic reintegration, spotlighting the remaining influences of three great restoration theorists: Viollet-Le-Duc, Aloïs Riegl and Cesare Brandi. The final talk of the first session, “Reintegration, integration, inpainting, retouching? Questions around terminology”, was given by Ana Calvo, from the Complutense University of Madrid. This communication had the intent to understand the terminology applied in several countries and specialized publications to define the chromatic or volumetric intervention to complete an object. Specially in painting conservation, it is common to find applied to this stage different terms such as restoration, reintegration, integration, retouching or inpainting. They tried to distinguish the different meanings applied to these terms, and look at some bibliographic reference sources in order to understand which of the terms are the most used. After 20 minutes of discussion and coffee‐break, the first session started with the presentation of Ellen Jassen from the University of Amsterdam. Under the title “Go with the Glow. An investigation into a 1960s artwork with phosphorescent paint and its treatment possibilities”, her presentation discussed the process of finding a suitable retouching medium for lacunae in the phosphorescent (or ‘glow in the dark’) paint layer of an artwork without title (1968, RMT, Enscheda) by IMI Giese. Giese used a commercial paint called Wiedolux. Since none of the standard available options were usable, it was necessary to try to manipulate the existing pigments and paints by using tips from the manufacturers. As final conclusions, Jassen spoke about a comparable (though not identical) medium which can be made by mixing two pigments with a different afterglow. Additions to the paint have a direct effect on the properties of the paint in daylight, in the dark or both. The right daylight colour of the retouching medium cannot be attained by using regular pigments because they will create a ‘veil’ over the phosphorescent pigments. This means that they cannot absorb UV very well, which affects the intensity of the afterglow. For this purpose, transparent pigments to visible light can be used. Dr. Ana Calvo (Complutense University of Madrid) presenting “Reintegration, integration, inpainting, retouching? Questions around terminology”. Prof. Roberto Bestetti (CESMAR7), speaking about “Material and Methods for self-production of retouching colour”. Afterwards, the lecture “Stick it on! Temporary transfer papers as retouching media for ceramics conservation”, given by Tiago Oliveira from Sara Peek Ltd. ( Brighton, United Kingdom), continued with the practical issues and described the intervention criteria applied in the private studio during the retouching process in a case study. Oliveira proposed the use of temporary transfer papers as an alternative method for the retouching of plaster fills applied to ceramic objects. A transfer printed Wood & Sons’ tureen was the basis for this investigation. The original pattern was identified on the object and sourced online. The image found was then adapted on Photoshop to match the object's colour and shape. Two types of water-based, cold-application transfers were tested: TYPE 1, Paper Slide Transfer; and TYPE 2, Temporary Tattoo Transfer. The pattern was printed onto both papers in an ordinary printer and the motif transferred to a plaster substrate. Adherence and physical stability were investigated on both transfers. After tests, Oliveira conclude that TYPE 1 solution proved to be easier to apply but only to small areas due to paper wrinkling. TYPE 2, although thinner, showed a tacky adhesive for an extended amount of time; this was minimised by airbrushing a layer of Golden Polymer UVLS Varnish on top. The morning session was closed with the presentation “Material and Methods for self-production of retouching colour” by Roberto Bestetti from CESMAR7 - Centro per lo Studio dei Materiali per il Restauro. He emphasized the importance of conservator-restorers to learn how to prepare a retouching colour palette, controlling the materials quality and understanding the way they could engineer the products starting from their needs. Bestetti spoke about the CESMAR7 course that had been presented in several Italian cities (Milan, Padua, Naples, Florence) and more recently also in Denmark (Copenhagen in June 2014) dedicated to self-production of retouching colours. According with Bestetti, during the course the pigments were mixed with highly stable binders such as Laropal A-81(urea-aledhyde resin), Paraloid B-72, Gum Arabic and Aquazol. After lunch, the second session began with a communication by Tamar Davidowitz from the University of Amsterdam. The aim of her presentation was the retouching of cast bronze sculpture. In January of 2007, "The Thinker" by August Rodin was stolen from the garden of the Singer Museum in Laren, The Netherlands. The sculpture suffered considerable damage, including saw-marks, plastic deformation of the metal and surface damage. The sculpture was subsequently treated by conservators at the University of Amsterdam, using the original plaster model as a reference and innovative 3D scanning and printing techniques. Using these methods, it was possible to re-cast and reapply the missing parts in their original form. While the larger elements were cast in bronze, the finer fills were cast using a mixture of epoxy and bronze powder. This proved essential in the retouching process, as it allowed for a polished substrate very similar to the surrounding bronze. Afterwards, Cátia Silva and Leonor Loureiro, from IPT, presented the communication "Inpainting a Urania 19th Century Toy Theatre: Problems and solutions". A Urania nineteen century toy theatre is a composite object, with wooden structure covered with marbled paper, tinted paper and cardboard showing two distinct forms of paper decoration: lithography and watercolour painting. It also has a front complex scene in printed cotton, and some metal elements. Structural problems and missing woody elements were just two of the many problems encountered. In order to solve these problems, the intervention of conservation and restoration focused on the object’s disassembly, cleaning, consolidation of tears, consolidation of powdery textile printing, filling losses with Japanese papers and conservation pulp, and finally retouching of the printed, watercoloured and marbled papers. Regarding the characteristics of the different decorated papers, watercolours of the German brand Schmincke were chosen, and both mimetic and discernible pointillism techniques were applied for the retouching – mimetic for printing lines and pointillism for the colour lacunae. After the coffee-break, Diana Avelar Pires from The National Archives (United Kingdom) presented her communication about “Inpainting in Bookbinding Conservation. Materials and Techniques”. 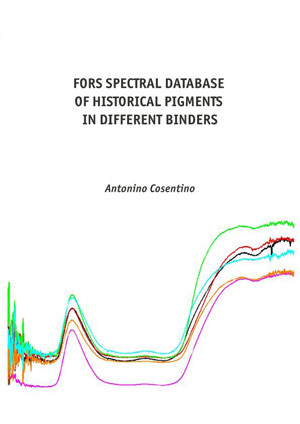 The author spoke about three methods of chromatic reintegration in bookbinding: textile dyes to tone the Japanese paper before application, dry pastel as a retouching technique, and the use of acrylics - Golden Fluid Acrylics - as both preparation and retouching methods. As final conclusion, Pires said that each reintegration technique has different implications and that it is up to the conservator to balance the pros and cons, sometimes with flexibility and accepting concessions in order to find the most suitable one. Session moderators conservator-restorers Frederico Henriques (Árvore), Rui Bordalo (HERCULES Lab; e-conservation Journal), Leonor Loureiro (IPT), Ana Bailão (Árvore; Catholic University of Portugal)) and Ana Bidarra (Cinábrio) during the conference conclusions. A conference participant during one of the final workshops. The second session ended with the presentation “Altarpiece painting: a view from the inside” by Mercês Lorena from Direção Geral do Património Cultural - Laboratório José de Figueiredo (DGPC –IJF), which gave an interesting overview between the historical honesty and aesthetic demands that image reintegration requests. During the communication, several examples of restored altarpieces from the 1500’s were presented and analysed: retable of the Virgin of Sorrows by Quentin Metsys from the Madre de Deus church in Lisbon, the retable of the Holy Virgin’s Life from Évora’s cathedral, and the retable from Funchal’s Cathedral in Madeira Island. The second day of RECH2 started with a communication by José Artur Pestana, from Mural da História, a private company. The presentation “Chromatic (re) integration in Charola do Convento de Cristo, Tomar” was an interesting personal reflection about the retouching performed at Charola of Convento de Cristo, Tomar (Portugal), which is on UNESCO’s World Heritage List, specially the chromatic reintegration performed in their integrated heritage – guadamecil, stucco and mural painting. Starting with the interventions of the extinct Direcção Geral dos Edíficios e Monumentos Nacionais, even if only slightly, Pestana spoke mainly about the intervention made by the Instituto José de Figueiredo, which started on the 1970’s and also in more recent campaigns which finished on past February. This journey in time allowed the participants to have an idea of the evolution of the conservation and restoration criteria in Portugal about the retouching issue. The second lecture was given by Ignasi Gironés-Sarrió and Vicent Guerola Blay from the Instituto de Restauración del Patrimonio of the Universidad Politécnica de Valencia. They presented a video entitled “Examples of Ceramic tile work reintegration systems based on studying their graphic sources”. They showed several reintegration examples of ceramic tile works whose level of losses hamper its reinterpretation. Their study attempts to provide a working pattern protocol around the study of the graphic sources employed by virtually all the Valencian manufacturers throughout the 18th century. Thus, knowledge of sources of inspiration, either literal copies or direct sources, is essential in the mimetic retouching process. The first part of their theoretical work attempts to demonstrate the incidence and importance that the use of engraved repertoires had, while the second part focuses on the direct application of sources to the reintegration process of formal graphic aspects. This point of view reverses the traditional process carried out by ceramic masters and craftsmen based on the examination of a work of art to seek or attempt to come closer to its formal and graphic genesis. The next lecture, given by Raquel Marques from the Department of Conservation and Restoration from the New University of Lisbon, was about the “Textured Replacement Strip for a Missing Portion of a Portrait: Problem Solving and Practical Solutions”. The aim of the communication was to discuss the practical solution developed to replace a missing strip in the lower portion of a 19th century female portrait in oil. For a successful structural and aesthetic reintegration, a system was designed to mould surface texture from the painting, and to cast an infill of uniform thickness. The fill material chosen is a commercial conservation quality product, BEVA Gesso-P.
After the coffee-break, the session started with a video presentation of Sandra Šustić, who could not attend the conference, from the Croatian Conservation Institute. Under the title “Beneath the surface of mimetic retouching”, this presentation explored the main stages of preliminary research in retouching Old Masters paintings. The aim was to make evident the importance of technical information gathered in the conservation-restoration process, and to demonstrate their application in mimetic retouching of the paint layer. 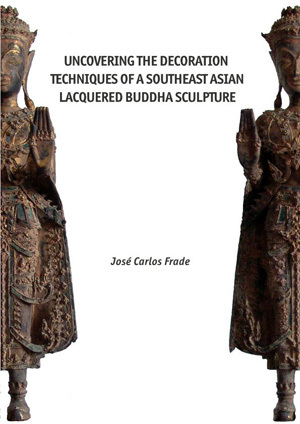 In this context, the authors considered several interesting case studies carried out at the Croatian Conservation Institute and Arts Academy of the University of Split. Cláudia Falcão, from IPT, closed the third session with the presentation “Retouching a Monumental Terracotta Sculpture. Meeting the Viewer´s Needs”. The communication of the researchers focused on an intervention performed in a valuable collection of monumental terracotta sculptures from the 17th, from the Monastery of Alcobaça, classified by UNESCO as World Heritage since 1989. The intervention implied the complete removal of the white overpainting layer, which exposed considerable extensions of the original white ground layer and, in some cases, the terracotta itself. Considering the needs of a visitor, enabling the visual interpretation of the piece after the removal of the overpainting, the solution was to keep the intervention to a minimum, by approximating the white ground layer to the terracotta tone, through colour retouching. A transparency obtained with water based acrylic paint was applied exclusively over the ground layer, previously protected with an acrylic film. In the end, the original sculpting work and even the few remains of the original polychromy were definitely enhanced. The conference conclusions were given by Ana Bailão after which she made the announcement of RECH3 on 2015. It will take place in Porto and will be organised by Escola Artística e Profissional Árvore in collaboration with IPT, HERCULES Laboratory and the private company Cinábrio on 23rd and 24th of October 2015. After lunch there were several workshops, practical demonstrations and activities, again in Casa Allen Palace. They all started at the same time and the participants could choose freely the activities that they like most. There was the demonstration by Frederico Henriques from Research Center for Science and Technology of the Arts about "Spatial Analysis Operations for the characterization of losses". His demonstration explored the use of spatial analysis functions and geographic information systems (GIS) operations in feature extraction, especially losses, using open access software. Another demonstration was given by Leonel Costa from D’arteCor entitled "Handmade watercolours”. The main aim of this exposition was to reproduce the manufacture process of watercolour. The third demonstration was by Tomás Dias from the Escola Artística e Profissional Árvore. He reproduced the "Linocut", a printmaking technique. A practical activity or brief workshop called "Visible Retouching Technique for Gilded Surfaces" was performed by Alexandra Marco from UCP. This demonstration was a brief sample of the two-day workshop "Retouching of gilded surfaces" organized by Escola Artística e Profissional Árvore on 27th and 28th of June, 2014 and taught by conservator Amelia Vela from the "Fundacion de La Comunidad Valenciana – La Luz de Las Imágenes Valencia" in Spain. The intent was to demonstrate various retouching techniques for gilded surfaces. All important stages in the gilding process where elaborated and presented in order to demonstrate the appropriate level of retouching. Special attention was given to a visible retouching technique consisting of multiple vertical lines made with gold powder and animal glue. Ana Bailão, also from UCP, undertook two practical activities: "Assessment of Hue, Value and Chroma Chart" and "Colour Discrimination Tests". In the first, a participant used the learning colour kit from the Munsell Color Company (now from X-Rite). With this kit it is possible to learn about the importance of Chromatic attributes of Hue, Value and Chroma, using the associated chips, for colour mixing and matching. The participant had to fill in the 8 value steps, the 6 chroma steps and the 10 hue steps. In the second one, the participants could try two colour vision tests, the Ishihara Test and the Farnsworth-Munsell 100-hue test to evaluate their colour discrimination. The 2nd International Meeting on Retouching of Cultural Heritage Conference brought together European participants from different countries as well as participants from India and the Americas in Casa das Artes, located at the beautiful city of Porto. The meeting of worldwide experts established an extensive panorama of new proposals and research studies in the restoration field and it was also verification to foreign and local participants of the excellence of Portugal in the discipline. It began with the shaping of an outstanding theoretical framework about the concept of reintegration and restoration theory applied to contemporary art. It provided an excellent opportunity for friendly discussion and the sharing of ideas and experiences about the retouching process in different Cultural Heritage objects. The organizing committee will continue with the 3rd Conference in the 23rd and 24th of October of 2015, also on Porto, Portugal.